Happy New Year to all Cancer Nursing Practice readers. I hope 2019 is everything you want it to be. I am not planning to make any resolutions I can’t keep – I have certainly made plenty of those over the years. 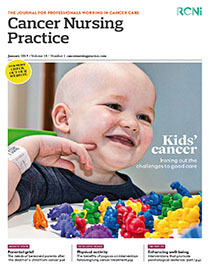 Share article: How should we reward cancer nurses?